Feinberg Prof. Joshua Hauser speaks to Faculty Senate on Thursday about a resolution concerning support for students affected by executive orders restricting travel. The resolution, he said, was in response to student concerns about Faculty Senate. Faculty Senate unanimously endorsed a statement Thursday supporting academic freedom in response to a letter from a group of faculty, which expressed support for students who stopped a guest lecture by a U.S. Immigration and Customs Enforcement representative in May. The statement, authored by the Executive Committee of Faculty Senate, urged University officials to ensure students are reminded of Student Handbook policies regarding demonstrations and are made aware of the consequences if those policies are violated. On May 16, students prevented an ICE public relations representative from giving a guest lecture in a class taught by sociology Prof. Beth Redbird. Some students argued the presence of an ICE representative was potentially harmful to undocumented people or those who have had a loved one be detained by ICE. The letter defended students’ right to disrupt the lecture and said those who participated should not be punished. Zoloth said the letter raised questions about preventing “upsetting discourse” and vetting syllabi for approval by administrators or a committee. Faculty Senate’s statement advocated for “the right to invite speakers with diverse opinions” to classes. Redbird, who was invited to Senate by Zoloth to discuss her experience with the protest, said there was a “disconnect” between her and the protesters. Redbird was in support of Senate’s statement and said students should engage in discussion with people who have opposing views. English Prof. Barbara Newman also offered support for the statement. Faculty Senate also passed a resolution, with only one abstention, concerning support for students affected by executive orders restricting travel. In January, President Donald Trump issued an executive order restricting travel by nationals from seven Muslim-majority countries. After a federal judge blocked the first order, Trump issued a revised order with similar travel restrictions, which is currently pending litigation. Feinberg Prof. Joshua Hauser said the resolution was drafted after students contacted him with concerns about Senate’s support for students. Senate also passed a resolution supporting the provision of a mental health training program and a wellness advisory board. Medill lecturer Karen Springen brought the resolution to Senate after students, including Medill junior Isabel Schwartz, approached her with the proposal. Schwartz said the mental health training would allow faculty to better identify and respond to students in distress. The board would connect efforts of addressing mental health across campus and reinforce networks of care, she said. Though members of Senate agreed the resolution would be a substantive step in addressing mental health on campus, some raised concerns about whether training would be voluntary and if faculty would be able to adequately care for students with mental health issues without receiving the years of training mental health professionals do. The training, Springen said, would be completely voluntary. Though the training would help faculty address mental health issues, Schwartz added the board is meant to connect mental health efforts. 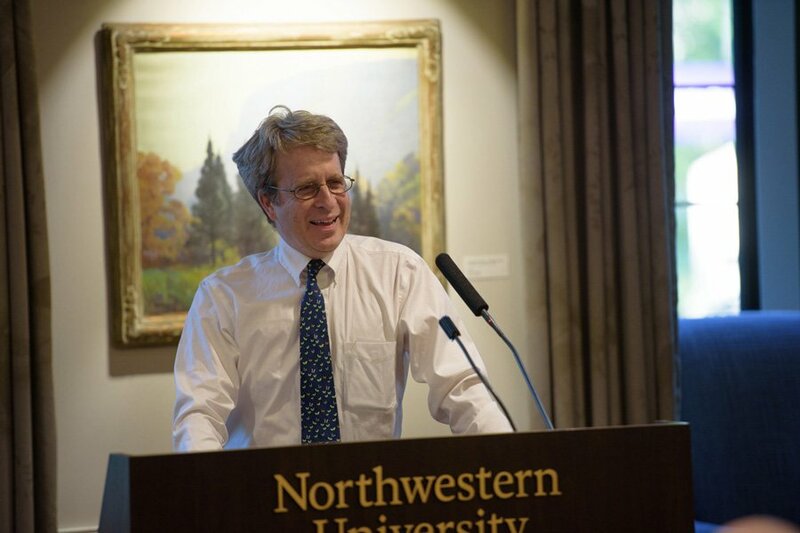 Philosophy Prof. Baron Reed was also elected the next president of Faculty Senate at Thursday’s meeting. This story was updated Friday at 5:15 p.m. with additional information about a resolution supporting the provision of a mental health training program and a wellness advisory board.